Imagine this scenario: You shut off your alarm, roll over in bed and begin scrolling through your phone. But something’s wrong. Your favorite website is nowhere to be found. You receive an alert that prompts you to buy into a social media package, so you can see the latest Tweets and Instagram posts from your friends. Sounds like a paranoid fantasy, doesn’t it? But it’s what internet in America could look like without net neutrality. 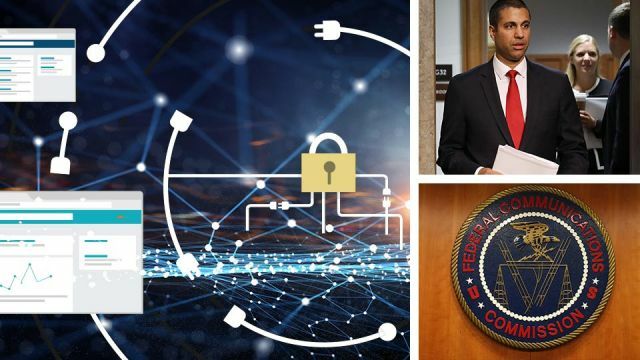 On Tuesday, the U.S. Federal Communications Commission (FCC) Chairman Ajit Pai announced plans to scrap Obama-era net neutrality rules at the December 14 Open Commission Meeting, with the Restoring Internet Freedom proposal. At the meeting, the five-member commission will vote on this proposal in what is expected to be a three-to-two split along party lines. In a 210-page Declaratory Ruling, Report and Order released on Wednesday, the FCC outlined its plans to “restore Internet Freedom by returning broadband Internet access service to its prior classification as an information service, and reinstate the private mobile service classification of mobile broadband Internet access service.” Essentially, the Republican-led FCC plans to roll back the fair and equal access to the internet established by the Obama administration. Perhaps unsurprisingly, the proposed repeal of net neutrality is accompanied by other proposals that benefit broadband internet companies. Citing a statement from the Communications Decency Act of 1996, the FCC’s report states that the United States established the policy “to preserve the vibrant and competitive free market that presently exists for the Internet… unfettered by federal or state regulation.” At the time, the Internet was certainly a luxury, and it was fairly common for a household not to have a family computer. But as the internet began to expand and we began conducting more of our business and consumer activities on the web, the need for Internet access became more apparent. Verizon Communications filed a federal lawsuit against the new rules in January 2011, and a Federal Appeals Court struck down the 2010 rule in 2014. The following year, a petition on the White House’s We the People platform titled “Restore Net Neutrality By Directing the FCC to Classify Internet Providers as ‘Common Carriers,’” was signed by 105,572 users. The Obama White House responded to the petition, and by 2015, we realized the potential afforded by net neutrality. In June 2016, the United States Court of Appeals for the District of Columbia Circuit upheld the government’s view that broadband internet is a necessary utility and not a luxury. The two-to-one victory in favor of net neutrality was intended to “ensure the internet remains open, now and in the future,” according to then-FCC Chairman Tom Wheeler. Broadband companies, like Verizon, Comcast and AT&T — and Republicans along with them — argue that net neutrality stands in the way of business expansion. On the other hand, Google, Amazon and other services contend that without net neutrality, broadband providers become the gatekeepers of what we access on the Internet. While large sites like Amazon would likely weather the change easily, smaller sites, like Etsy, simply don’t have the funds it might take to pay to be seen in internet searches. For small businesses that operate primarily online, repealing net neutrality could be disastrous. If net neutrality is repealed, internet service providers can once again prioritize certain companies and offers over others. For instance, if Comcast is your provider, they will be able to charge you a fee to access Netflix or other streaming services. That’s on top of the subscription fee you already pay to Netflix. Want a real-world example of what the internet is like without net neutrality? Look no further than Portugal, where the country’s wireless provider Meo charges €4.99 (roughly $5.90) a month for messaging apps including Skype, FaceTime and WhatsApp. A separate package offers Facebook and Facebook Messenger, Instagram, Twitter, Snapchat, tumblr, LinkedIn and Pinterest for another €4.99 a month. Want music? Well, you can add Spotify, SoundCloud and Google Play Music for an additional €4.99 a month. Email like Gmail, which is free in the U.S. — for now — comes in an email and cloud package that’s also €4.99 a month. But the bright side is that all MEO apps are included in your monthly service package. Democrats and advocates of net neutrality claim that without net neutrality, nothing stands in the way of AT&T, Verizon and Comcast doing the same thing. Five commissioners make up the FCC: Chairman Ajit Pai (R), Commissioners Mignon Clyburn (D), Brendan Carr (R), Michael O’Rielly (R) and Jessica Rosenworcel (D). Each commissioner issued a statement on net neutrality on Tuesday. For those who advocate for net neutrality, Commissioners Clyburn and Rosenworcel’s responses feel familiar. The FCC’s proposal “eliminates all prohibitions against blocking and throttling (slowing down) applications by broadband providers, and enables them to engage in paid prioritization and unreasonable discrimination at the point of interconnection,” reads a fact sheet from Commissioner Clyburn. Net neutrality has long been a bipartisan issue. With a Republican majority on the commission, the repeal is likely to pass. But that doesn’t mean that you should remain silent. If you feel moved to add your voice to the argument for net neutrality, contact the FCC, write to your Representatives and Senators, or use ResistBot right from your phone. If you own a website, craft a blog post or add a widget to your homepage, or just spread the word to bring attention to the issue. Every effort counts. Hey Buddy!, I found this information for you: "Here’s What The Repeal Of Net Neutrality Means For You". Here is the website link: https://www.thealternativedaily.com/heres-what-the-repeal-of-net-neutrality-means-for-you/. Thank you.